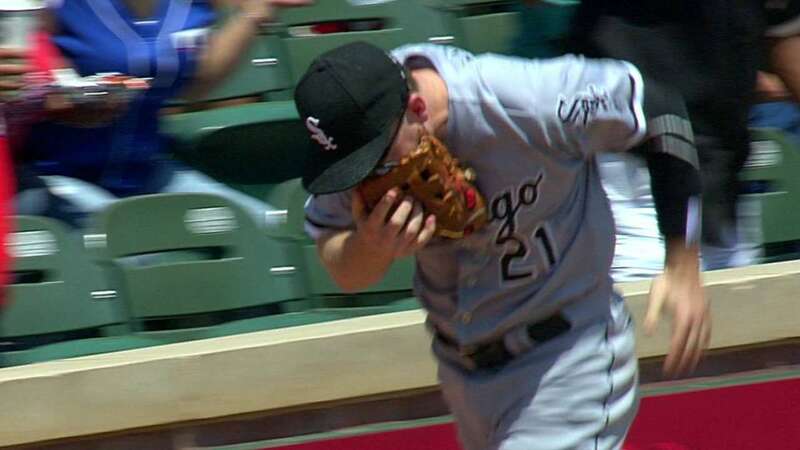 White Sox batman third baseman Todd Frazier got injured in the match. We wish him 'a get well soon'. White Sox's Todd Frazier injured, will need stitches. "My momentum took me into the stands, and my head went right into the arm rest. Basically, I felt my tongue went through my bottom lip. Ice it up a lot and I'll be good to go for Friday." White Sox batman third baseman Todd Frazier said after he got injured in the match. In the game against the Texas Rangers in the bottom fourth inning, Frazier laid out for a foul ball towards the audiences’ seat but fell face-first in the first row. He immediately got up and ran away to the dugout covering his mouth with the glove. Now he needs five stitches in the lower lip as he got a hole in lip and hole in the lineup. "It kind of freaked me out because of the way he reacted. It's a scary moment." Update on Todd Frazier: He left today's game with a laceration to his lower lip. He required 5 stitches. He's listed as day-to-day. We wish the regular player of the team to recover soon.